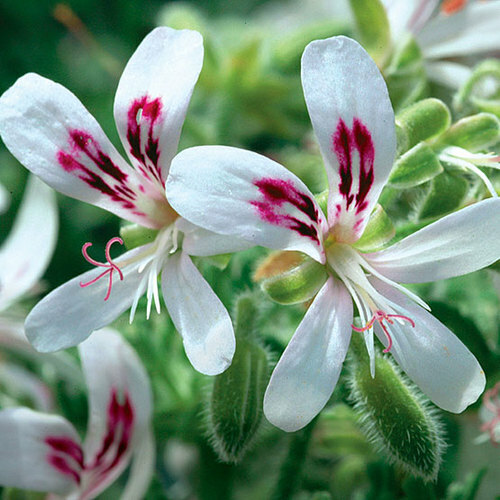 This genus of mostly evergreen perennials, shrubs, and succulents comes mainly from South Africa. The innumerable cultivars are divided into 6 groups, and they originate from roughly 20 species. 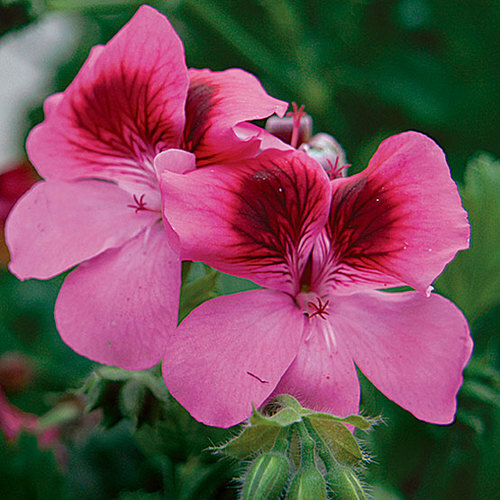 They are a staple for hanging baskets, summer bedding, and greenhouse displays. 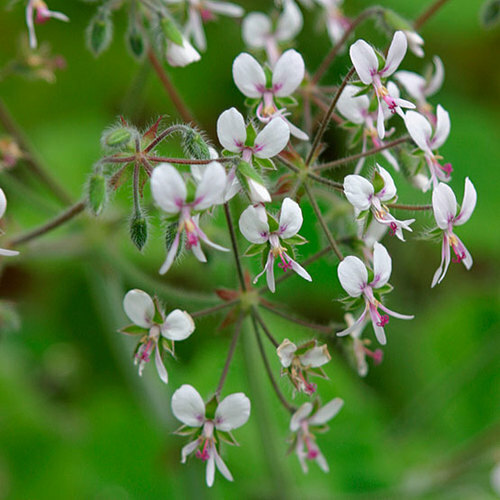 They have terminal clusters of flowers with 5 petals, which may be shaped like saucers, stars, butterflies, trumpets, or funnels. 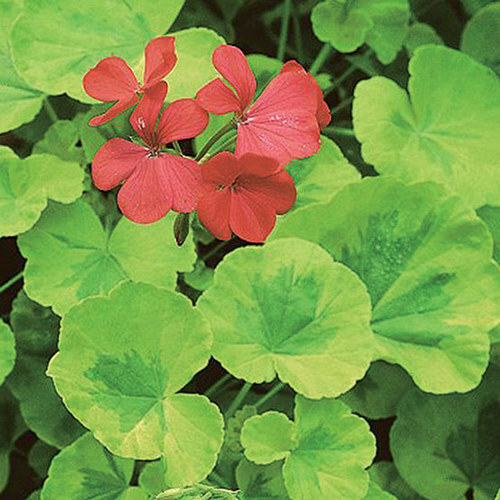 Most bloom in spring or summer, but some may flower in winter if temperatures are kept around 45° to 50°F. 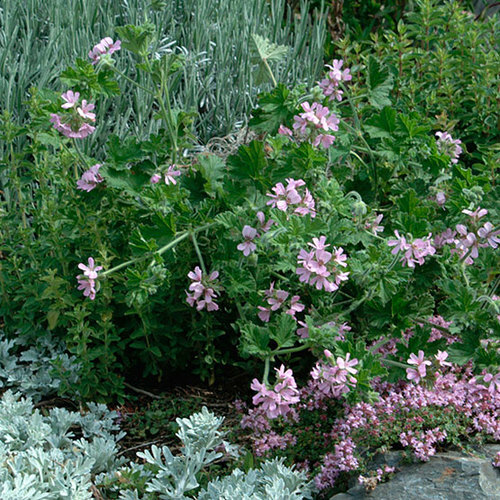 Many have foliage with attractive markings and a distinct, rich aroma. 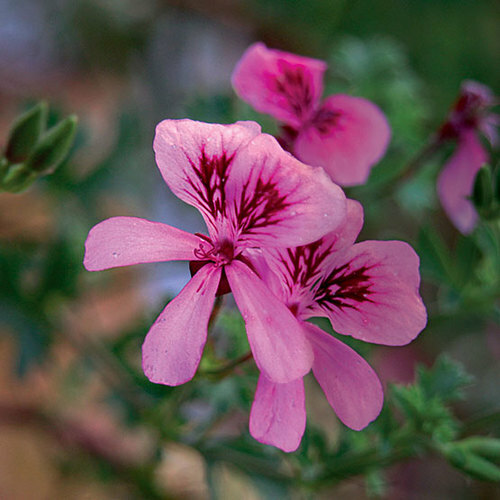 Noteworthy CharacteristicsThis plentiful and charming genus offers plants with an abundance of flower colors and decorative leaf forms for both indoors and outdoors. CareDeadhead spent flowers consistently. 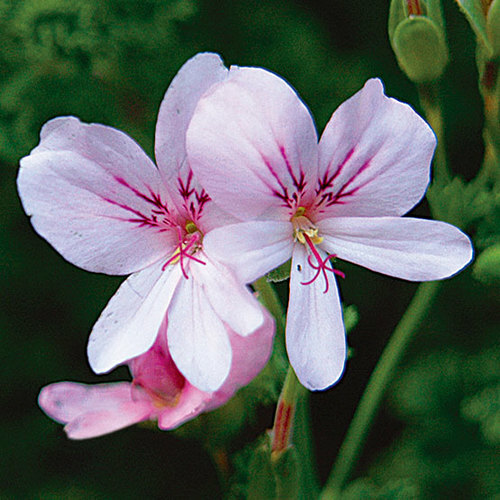 Outdoors: grow in neutral to alkaline, well-drained soil and preferably full sun (regals prefer partial shade and zonals tolerate some shade). 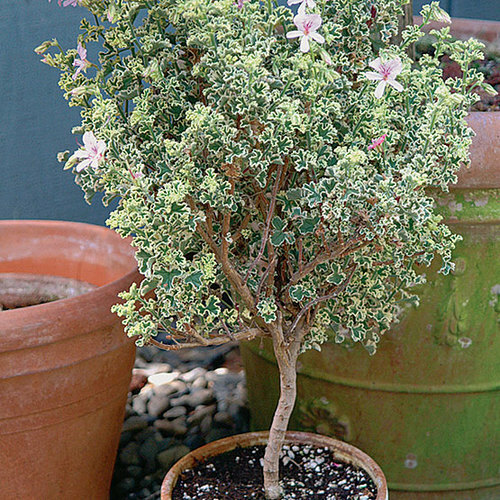 In hot climates, provide mid-day shade; in cold climates, overwinter indoors and trim back by one-third and repot when grown resumes. Indoors: provide with light soil mix, good light and ventilation, and mid-day shade. Fertilize every two weeks during growth and water sparingly in winter. PropagationRoot softwood cuttings in spring, late summer or early fall. Sow seed from late winter to early spring at 70°F.